Working in a cold garage can be an uncomfortable experience. It can frankly be miserable at times when temperatures are extremely low. If you are here, you are probably looking for a dependable heater option to make those cold days in the garage manageable. We have selected a range of heater units below for you to consider. These are our picks for the best garage heaters to quickly add warmth to your preferred heating area. 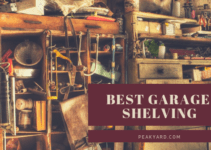 If you are having trouble trying to determine the type of heater you need, please skip to the ‘Finding the Best Garage Heater‘ section at the end of this article for some helpful guidance. The Farenheat FUH54 is a small but powerful fan heater that is designed to heat garages, workshops, and more. It should have no problem heating most standard two-car garages with adequate insulation. It can be mounted on the ceiling and is adjustable to four different positions. The unit can also be positioned on the wall if that location is preferred, but a wall mounting bracket is not included. This heater features a thermostat that can be adjusted from a range of 45°F to 135°F but there are no degrees listed on knobs. The adjustable louvers on the front of the unit allow you to control the direction of the heat with little effort. The unit contains an automatic fan that kicks on when the heating element is warm and shuts off when it cools. A nice feature of this model is that it will automatically shut off if the heater happens to overheat and will turn back on as the temperatures cools back to an appropriate level. The portable Mr. Heater F232000 MH9BX Buddy is ideal for a small garage. The unit runs off of propane, which requires a propane tank (not included) be hooked to the heater for operation. You can use a small 1 pound tank or up to a 40 pound tank. The use of a propane for the fuel source makes this heater portable as opposed to other models that are hardwired to electricity. The heater has a built in shut-off. The unit will turn off if tilted/tipped over or if the oxygen levels are low near the heater. This is an excellent feature considering the source of heat. The Mr. Heater Buddy contains low (4,000 BTU) and high (9,000 BTU) heat settings. The approximate run time off a 1 pound propane cylinder are 3 hours on high and 6 hours on low. Considering a 1 pound cylinder is only around $4 to $5, this is relatively inexpensive given the heater offers great flexibility in its portability. This is one of the best garage heaters you can purchase for a small garage or for taking along with you for activities such as camping or tailgating. This Comfort Zone heater will nicely warm most traditional double car garages that is properly insulated. We especially like how this heater allows the user to adjust the heat between 3,000 4,000, and 5,000 watts. Between the low and high thermostat setting you essential have a range of 45° to 90°F. The unit is equipped with a fan to allow the heated air to circulate around the garage. The louvers on the front of the heater (pictured above) provide the ability to direct the air flow where you want it. It is constructed out of a heavy steel making its exterior built to last. We particularly like how this heater is designed with a safety overheat protection features which shuts the heater off if it overheats. This might look like a sort of mini cannon from a distance, but it is actually a very high-quality and efficient heater for a garage or other area. It will heat up to 940 square feet using forced air. Dyna-Glo does make higher BTU units if you need to heat more than 940 square feet. The heater hooks to a propane tank and runs off of liquid propane. The propane tank is not included, but you do receive a 10′ hose and regulator to make the connection between the tank and the heater. The manufacturer indicates that the heater will run 11 hours using a 20 lb. propane tank, 22 hours with a 40 lb. tank, or 54 hours with a 100 lb. tank. You will receive a lifetime warranty on the brass burner so you know it is built with quality in mind. The unit is equipped with an auto shut-off feature which will turn off the heater if it happens to overheat or flame-out. The base of this heater contains an option to position the heater at various angles. Since this is a propane heater, you have the ability to move the unit as desired unlike hardwired garage heaters which are stationary. The Dr. Infrared DR-988 heater provides continuous heat for a garage up to 600 square feet with an output of 4,800/5,600 watts. The unit will heat up to 95°F and as low as 45°F for a wide range of comfort levels. Once your heat level is set from a low to high setting, the heater will work to maintain that heat level. This Dr. Infrared Heater unit produces 3,000/6,000W on the low and high settings. 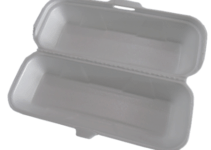 The manufacturer indicates that it is rated up to 600 square feet of a well insulated room. The heater is mountable on the wall or ceiling using the bracket shown in the picture above. It required to be hardwired and is 240 volts. It has nicely designed louvers to help direct the heat in the area you desire. The air flow is produced from an 8 inch fan without being overly noisy for many people. If you choose to purchase this heater, it will be like having mini furnace in your garage. The unit attaches to a thermostat to enable you to control the temperature like you would in your home. At 45,000 BTU, it is powerful enough to easily heat a two-car garage in a short time period. It allows for natural or propane gas. It also comes with the bolts and brackets for mounting the low profile unit. The unit vents harmful fumes outside from the rear. Since it is able to run off natural gas, a gas line will need to be hooked to the unit from an existing source. However, once the heater is up and running, you will have a virtual worry-free heating system that is able to be control from a thermostat. This is the most expensive garage heater on our list, but it by far the best in terms of its efficiency and overall ability to heat a garage. Below are a few things you should consider before selecting a garage heater. The range of prices and features can vary greatly from heater to heater. It is important to consider all factors listed below so that you do not overspend on a heater that is much too big for your garage. Additionally, it is not uncommon for consumers to buy too small of a heater that struggles to heat a desired space. It is a good idea to measure the square footage of your garage before you consider a heater. Generally, 10 watts per square foot is an easy way to determine the size of heater you need. However, if you have bad insulation or tall ceilings, you may need to consider going higher than 10 watts per square foot. Electric Garage Heaters – You probably guessed that electric heaters hook to electricity. They are commonly either hardwired to a breaker box or they plug into an outlet such as one that your dryer uses (240 v). Since they run off electricity, there are no fumes to vent. Propane – Propane heaters typically connect to a propane tank. The tanks are sold separately, but you often have the option to choose from various sizes of tanks. You will have to refill/change your propane tank when the fuel runs out. Natural Gas – A natural gas heater is is commonly powered by a gas line within the home. The gas line connects to the heater and the heater vents the fumes to the outside. Natural gas produces 50% less CO2 than other fossil fuels making it a cleaner choice for fuel. Fan Heater – A fan blows air over the heat source and then the hot air is distributed across the heating area. The fan can be noisy and may be undesirable for some. These heaters are typically very efficient. They also commonly get their power from electricity. Radiant – Infrared waves, that you cannot see, heat the objects in the vicinity of the rays. These objects then work to heat other objects in the area (source). Radiant heating is often much quieter than other types of heaters. Natural/Propane Gas – These heaters rely on a gas source (natural gas or propane) to fuel the heater. Propane heaters are typical easy to move wherever you desire since they hook to a portable propane tank. Tip Over Safety – If the unit tips over, the heater automatically shuts off. Overheat Shut Off – The heater will turn off if the unit overheats. Some heaters may kick back on once overheating is no longer an issue. Flame Out Protection – The unit shuts down if the flame goes out to prevent a build up of gas that is not being burned off. Guards – Many heaters are equipped with guards or other protection so that people do not inadvertently burn a body part when they are near the heater. Of course, you should avoid touching the heater outside of the control area when it is hot. BTU stands for British thermal unit. It measures the quantity of heat required to raise one pound of water by 1 degree, according to eia.gov. How do I estimate the BTU I need? This calculator allows you to enter your room width, length, height, insulation condition, and desired room temperature. After you enter this information, the calculator will give you an estimate of your BTU/hour or wattage. Can all garage heaters be mounted? No, check the product description provided by the manufacturer to determine if or how the heater can be mounted. How can I reduce the amount of heat I use in my garage? Garages are notorious for being poorly insulated. The walls are often inadequately insulated and drafts commonly occur at the garage door among other places. 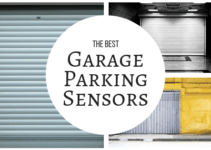 Most garages are not constructed for the purposes of routinely functioning in this area during the cold months. You can use less heat with your garage heater by findings ways to improve upon the loss of heat. This may mean sealing drafty areas or adding/upgrading your insulation. Heaters can often be confusing given their different power/fuel options and the features that they offer. 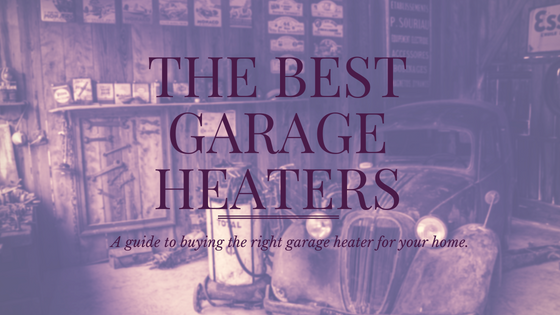 We truly hope you were able to find one of the best garage heaters for your home. A garage heater is an excellent way to make use of an area in your home that is not typically habitable for long periods of time during the cold months. Whether you use your garage for fixing cars, crafts, woodworking, or whatever other reason, a heater will surely add a great deal of comfort to your environment. We believe the overall best garage heater is the Modine HD45As0111 Natural Gas Hot Dawg. However, this heater is not for everyone. At 45,000 BTU and an expensive price tag, this heater may be a bit of overkill for many garages. We believe we have provided several excellent alternatives on our list if the Modine is not right for you.